If you thought gold’s 10-week high yesterday was impressive, try a 10-month high. That is what platinum has reached in early trading today, July 2, while gold is approaching its highest price in three months. At one point this morning platinum reached $1,523 an ounce, its highest price since September 4, 2013. Palladium for September delivery has also risen, adding 0.1% to reach $855.55 an ounce in its eighth straight session of gains – the longest run since 2012. Gold for August delivery is up 0.1% to $1,327.70. Gold has a weak U.S. dollar, near-zero interest rates, and unrest in Iraq and Ukraine driving safe-haven demand. 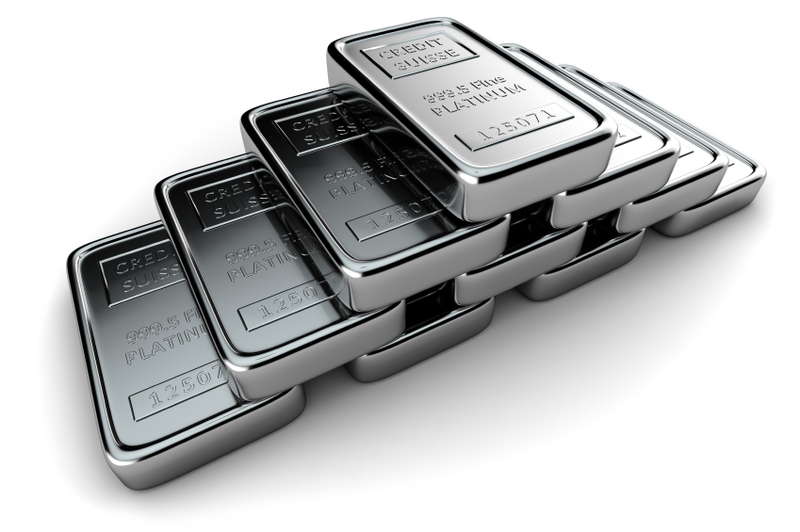 But what is driving platinum and palladium demand? Bloomberg and the Wall Street Journal point to a supply shortage that keeps on building. Bloomberg mentions signs that increasing demand from car companies will add to the shortage (platinum and palladium are heavily used in the automobile industry). They state: “Investor holdings in platinum- and palladium-backed funds are at or near records as demand from automakers and a South African mining strike that lasted five months leads to a third successive supply deficit.” In the U.S., auto sales are adjusting for increased seasonal demand, which is growing at its fastest rate in eight years. Bank of America Merrill Lynch analysts add that the end of the South African platinum mine strike will do more to raise platinum and palladium prices than the strike itself did. They say that during the strike, the mining companies had an incentive to keep prices low so that the striking workers would not think the companies had enough money to begin paying their workers more. Now that the strike is over, that incentive has been removed, so the mining companies may allow their prices to rally and increase again. The analysts also point to the lasting effects the strike will have on the industry that will take a long time to recover from. The economy and the world as a whole are unpredictable, and they see good times and bad times. However, precious metals have a proven track record of holding their value for decades at a time despite whatever may be happening that is out of your control. To take advantage of this unique property of precious metals and use it to protect a very important asset: your retirement funds, consider opening a Gold IRA – an individual retirement account that can hold physical gold and other precious metals. Call American Bullion today at 1-800-326-9598 to speak with a precious metals specialist.